Holy crap, I'm in the 150's!!!!! Today is 6-months (26 weeks) of low carb/keto with no cheating and I'm down 70.2 lbs since June 2015 and 38.8 lbs down in that 26 weeks! 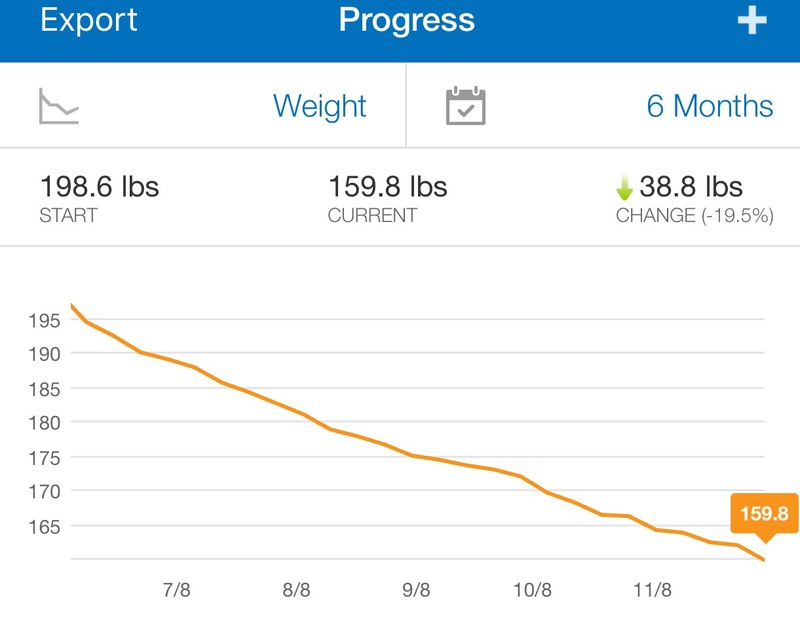 I have 29.8 lbs to go until I hit my goal weight... less than 30 pounds away and I hit my short-term goal is 160 so my new short-term goal is 155 lbs! ...which is really awesome! 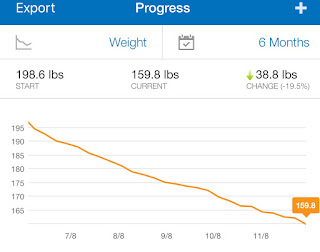 I've lost weight every week for the last six months! Yes, it has slowed down and it'll start getting even slower soon but I'm okay with this. My biggest goal right now, outside of sticking with what I've been doing, is to get back to working out. I really, really need to create some muscles here to offset the sagging skin and because I freaking love working out lol. I'm guessing I'll probably be in the 150's for a good two months (if not more) because that's how long it took to get out of the 160's and I'm not really worried about it. I'd love to be done but I'm doing this in such a way that the weight will stay off. There's no reason to rush it. I also did my measurements and I lost on everything but upper arms and jean size! The most recent will be posted here and the total amounts will be on my "weigh-in and measurements" page.